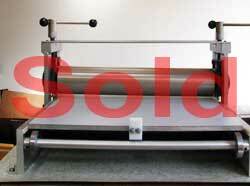 Used Takach presses for sale. 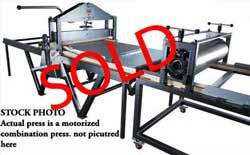 Unless otherwise noted the used presses are sold as is with no warranty. 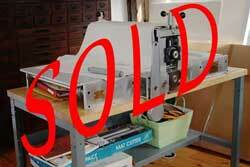 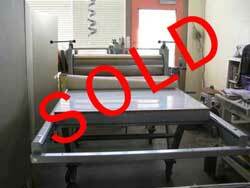 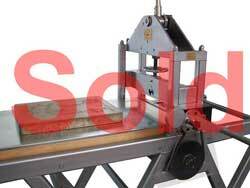 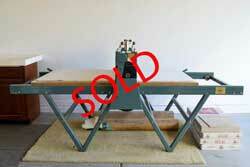 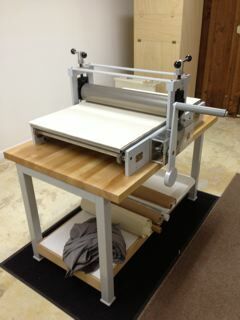 Takach Press sells used printmaking equipment on consignment, please call if interested in buying or selling. 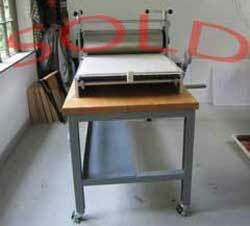 The following used printmaking equipment is located across the country. 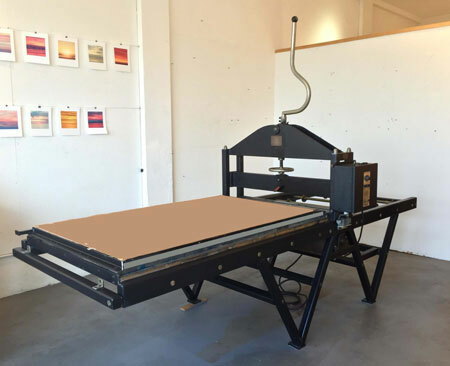 Shipping for used presses and large printmaking equipment will be determined based on the location of the equipment and your ship to address. 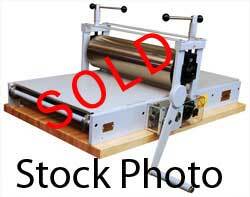 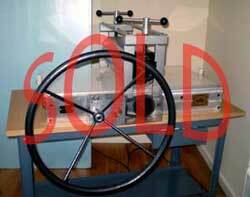 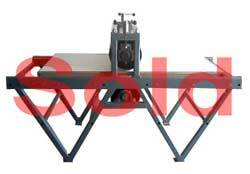 Note: Many used presses are bought and sold before they are placed on this webpage. 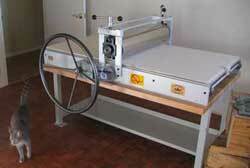 Used in a University setting but well taken care of. 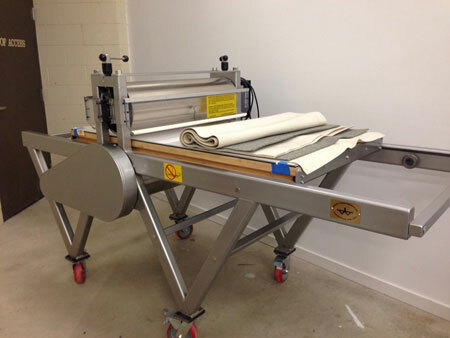 1" Aluminum plate backer 39" x 60"
White Water Tray 27" x 32"
Large Assortment of BFK paper 24" x 30"
12 years left on the original warranty. 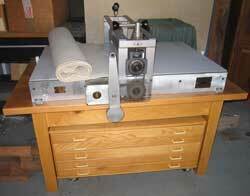 Support Work Bench - Table 36" x 60" x 30" With optional second storage shelf. 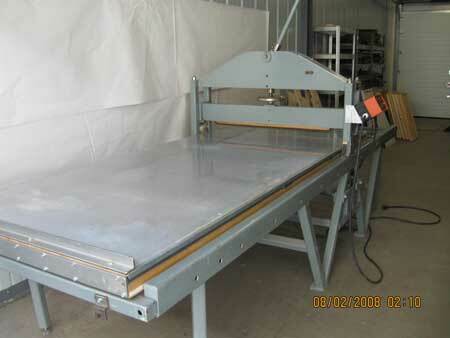 Felt Etching Blanket Set in Good Condition 24" x 48"